Reinhardt University participated in the 2016 North Georgia Conference of the United Methodist Church’s annual conference this week. 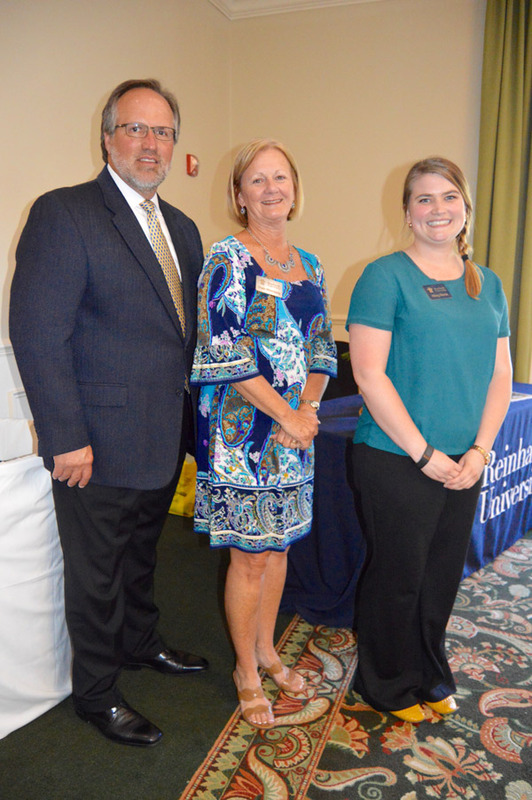 Dr. Kina Mallard, president, Tim Norton, vice president for advancement and marketing, Dale Morrissey, director of development and external relations, and Hilary Martin, enrollment manager and graduate admissions counselor, attended the event June 7 when Reinhardt hosted the dinner. The NGCUMC is a three-day event that was held at The Classic Center in Athens. The theme was “Bound for Greater Things” based on John 14: 12-14. The 2016 annual convention marked the 150th session. Dr. Mallard spoke of Reinhardt’s programs – those that are currently offered as well as those that are on the horizon. The Rev. C.R. Hill’s Family, from left, David, Nathan, Chris and Max Hill. 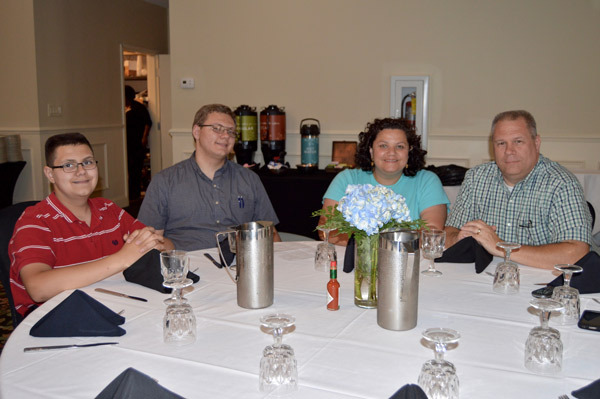 Reinhardt hosted the Southern-style dinner the evening of June 7 where about 80 people enjoyed a meal and fellowship at the Hilton Garden Inn in Athens. “It’s our way of saying thank you and to tell about what’s going on at Reinhardt,” said Kathy Bouyett, who works in the Office of Advancement and planned the dinner. Norton addressed the audience in attendance and showed the “It Began at Reinhardt” video, featuring current students, alumni and faculty/staff. The North Georgia United Methodist Conference supports Reinhardt every year through a portion of the tithes it receives from congregations across North Georgia.